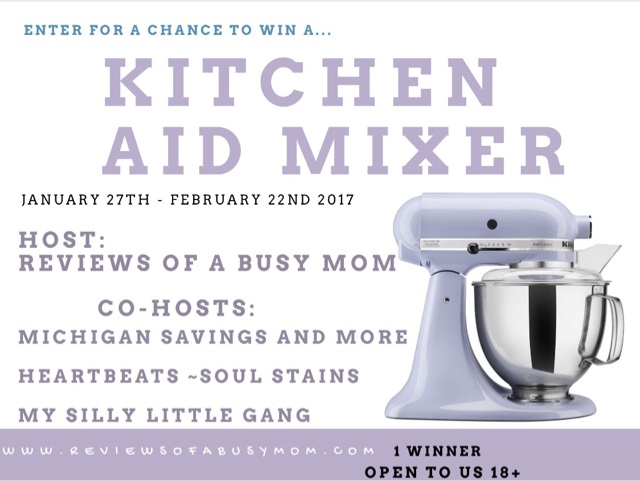 Kitchen Aid Mixer Giveaway $300 - 1 Winner! Whenever I see cakes with recipe's online, I always say to myself that I wish I had a Kitchen Aid mixer that'll help me out in mixing a dough. My son loves to eat cookies and I would be happy to do something for him - a homemade cookie. I’m so excited to be sharing this giveaway with you! 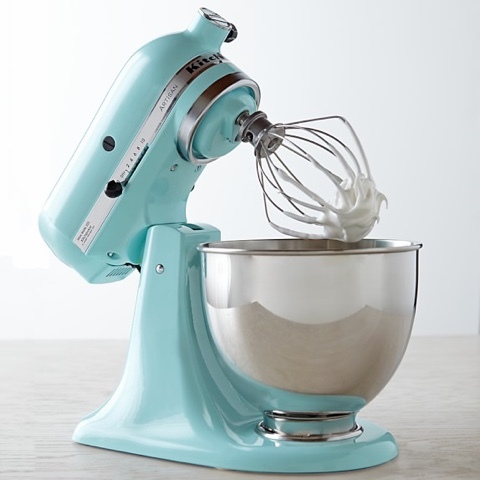 I can’t live without my Kitchen Aid stand mixer for my baking needs and I’m so thrilled that a Reviews of a busy mom reader will be winning one! This a top of the line mixer for anyone from a novice baker to an advance baker, it adds charm, style and that sense of WOW in the kitchen! The Kitchen Aid Mixer mixes hands free which means you can measure out any additional ingredients without starting and stopping, kneading & making bread dough can be done in snap, its powerful and quiet! This baby really packs a PUNCH! Giveaway is open to US only, ages 18 and older. Giveaway ends February 22nd, 2017 at 11:59pm EST. Enter to win via the giveaway form below and good luck! 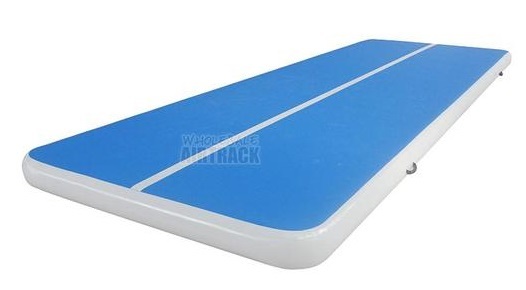 1 Winner will be chosen. All entries verified.